My recent work is the continuation of an interest that has been the focus of my work for several years – old stone, weathered by time and witness to passing events. In these pieces the particular focus are the marks made by stonemasons as they dressed the stone for building. The small church of St Athernase, Leuchars, is one of the best example of Romanesque architecture in Scotland and has been the main source of inspiration for my recent work in both stitch and print. 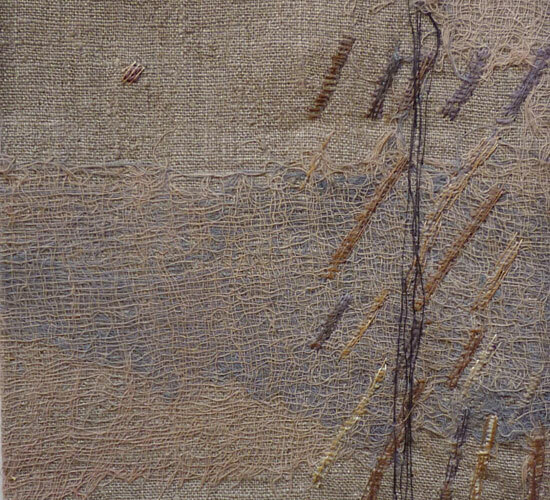 These pieces are an exploration of marks and mark-making through hand stitch and as such are a personal response to the marks in the stones. 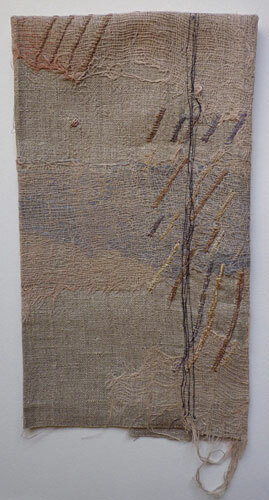 The surface quality of the marks and the interpretation in fabric and stitch seemed a natural partnership to me.